After weeks of practice and hard work both in and out of class, students in the Concert Band, Symphonic Band and Wind Ensemble are finishing preparations for their holiday concerts, which will take place at 7 p.m. tonight and tomorrow in the PAC. The concerts are the first of the year for Wind Ensemble members and, for Symphonic Band and Concert Bands, the first of the year to include the members involved in the competitive marching band earlier this year. RBHS students aren’t the only ones preparing for this week’s concerts, however. Eighth-grade bands from Gentry Middle School and Jefferson Middle School will play alongside RBHS bands at both concerts this week as a way to provide incoming freshmen with the opportunity to experience a part of the high school band program — a tradition among the three schools since 2013, assistant band director Patrick Sullivan said. Such an experience with the high school band program, GMS band director Amber Quest said, can actually be extremely helpful to some eighth-grade students. 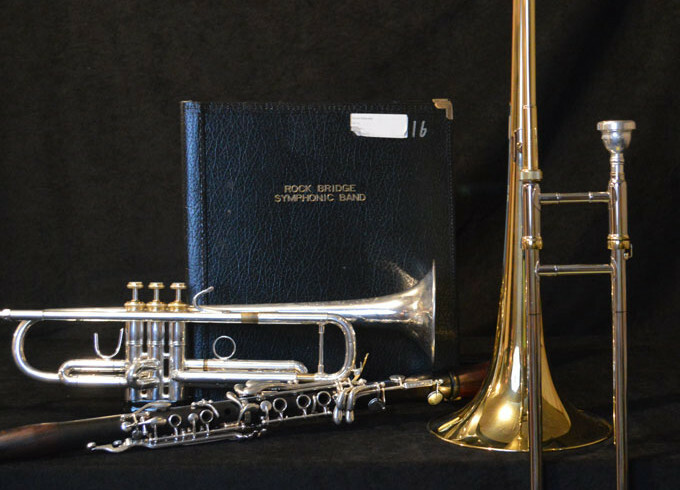 The ability for the students to meet the program directors at the high school, as well as to hear the types of music they learn to play, she said, often encourages many to continue with the band program in spite of any worries they may have. The fact that Sullivan and band director Steve Mathews already meet with eighth-graders regularly this year to direct them in class is even more helpful. Having been a part of the GMS eighth grade band last year, freshman Khalid Ibdah said playing in the RBHS winter concert last year was a very positive experience. While he had already planned to continue with band into high school, he said, it gave him a better idea of what the program would be like compared to the one at GMS. It’s this form of encouragement toward continuing band, Quest said, that makes her hope such collaboration continues in future years. Despite her daunting schedule and knowledgeable attitude about various happenings at RBHS, many still seem to think that senior Nicole Schroeder is an underclassman. Maybe it has to do with her small stature or maybe it is the air of determined perfectionism that immediately dispels any notions of senioritis. Whatever the reason, however, almost everyone can agree that her friendly face and warm smile openly welcome all those she may meet. In her free time, she enjoys writing novels to her heart’s content, horseback riding, and spending time with her family and her three guinea pigs: Smores, Oreo, and Cinnamon. If she’s not in class, she’s most often bustling in and out the journalism room or tucked away in a quiet corner of the East Atrium.